There's a little phrase that has become frequently uttered over the last half decade of board game development: "production values". A phrase that is usually used in association with big, flashy mediums such as film and music, discussions regarding the quality of components, cards, and printed materials has become ubiquitous in board game discourse. But before the mainstreaming of board gaming as a hobby, gamer's were lucky if their copy of a game came with all the pieces and free of misprints (Fun Fact: In 1980 many Dungeons & Dragons Basic Set Boxes came with numbered chits (to be drawn out of hat) instead of dice, because TSR couldn't maintain their dice production in the face of demand). To give us some perspective, and to instill some gratitude in us young whipper snappers, our local greybeard gamer (and shipping manager), John Small, elucidates us regarding the remarkable advances in board game component design. Let's gather around the fire and listen. I have been playing board games for years... decades in fact. One thing that I've come to appreciate after those countless hours at the table is when a game designer or publisher goes that extra mile to not only make a good game but to make it look good as well. Just a sampling of the mass of cardboard tokens that came in a copy of Squad Commander. Things are a little different now. Detailed artwork is pretty much a prerequisite for any game coming out today. 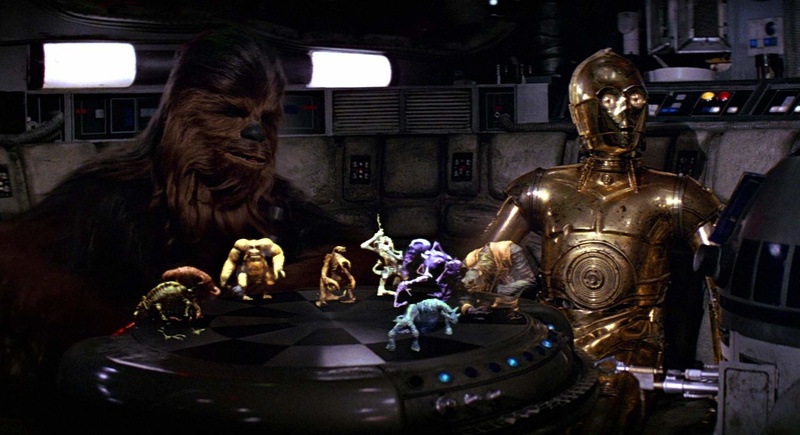 The use of computers and design software have changed board games for the better. Boards are no longer just a map of areas to be fought over. Rajas of the Ganges isn't just a river race, its a tour through India! They are colorful, detailed and much more than just rectangular. Many are modular so that the game can be played again in many different variations. Rules, actions and abilities are often printed right on the board making some aspects of the games easier understand and play (and in many cases language independent). I think one of the first games to really change things was Settlers of Catan. It had a more colorful and modular board. The cards where good quality and had nice artwork and the game had wooden tokens for roads, settlements and cities. All in all a much more visually interesting game that has likely been played by millions. These colourful and appealing components are a big reason as to why Catan became the classic it is. This popular gateway game, with it”s upgraded components and art design, ushered in an evolution in how board game designers approached the new form of physical game design. Every aspect of the look and feel of games could and would be altered. Cards, for instance, have become well designed, colorful, and are now printed on real card stock. Their art and design make them a much greater and thematic part of the game. Differing sizes hint to their function within the game and allow for easier pre and post game sorting. They can actually be shuffled like playing cards, if you dare. Card sleeves to protect them come in many different sizes and colors and can keep your cards safe for hundreds of plays. Coinage for games now are often interesting shapes and come in varying denominations, printed to represent the actual coins they are facsimiles of (and in many cases upgradable to plastic or metal from cardboard). 7 Wonders and Lords of Waterdeep are great examples of nice and potentially upgradable coinage. On the other hand, My game group's persistant "clink, clink, clink" of coins doesn't really help my analysis paralysis. Gone are the days of square cardboard chits with 1 and 2s and 3s on them... and silence. These metal coins for Lords of Waterdeep (produced by Broken Token) add some realistic heft to exchanges of currency within the game. But, in my o[pinion, the most obvious improvement in board game components is the upgrading of game tokens; from little, square cardboard chits, to small wooden cubes or discs, to meeples to realistic 3D figures (some plastic, some laser cut wood). 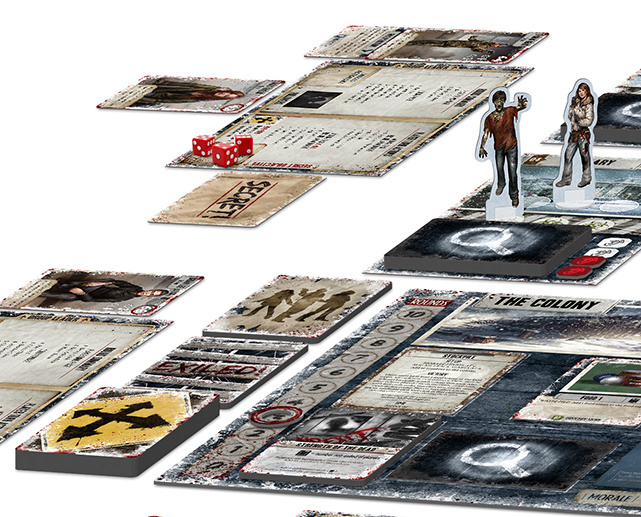 Zombicide would not be the same with flat cardboard zombies or dogs or abominations. 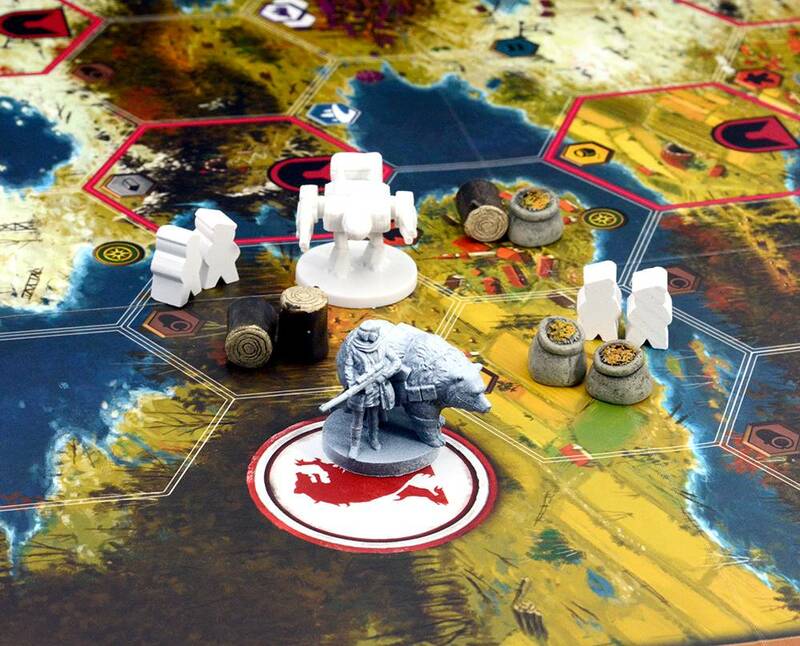 That horde of gray plastic bearing down on our gun toting heroes instills fear in the heart of even the most stalwart undead slayer... And a fully decked out game of Scythe with 3D mechs, realistic resources and coinage is truly a sight to behold, and a good game too. Fear the grey horde!... 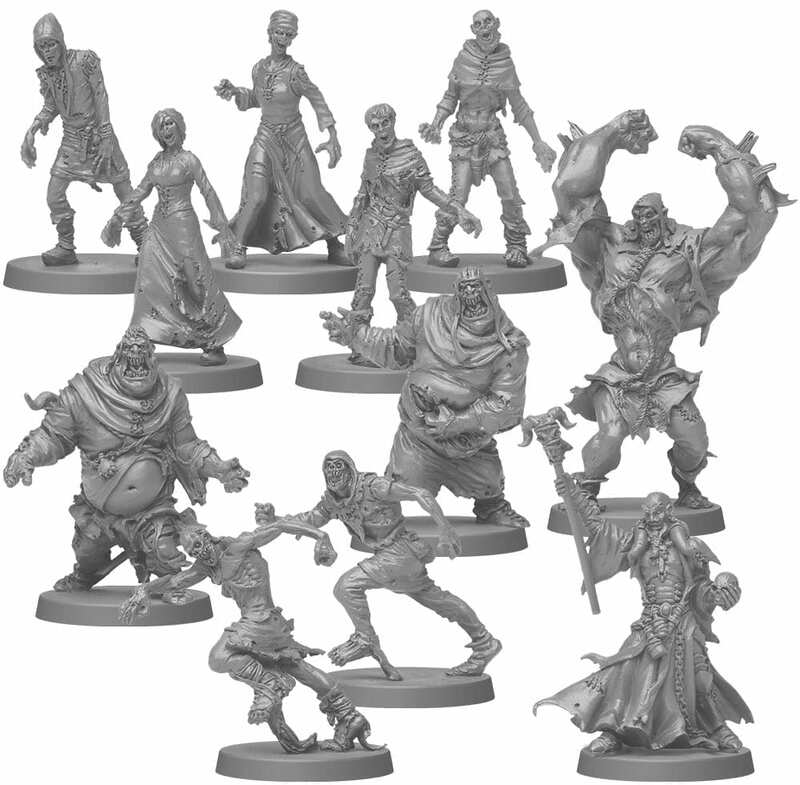 or at least fear having to paint all 71 miniatures that come in a copy of Zombicide: Black Plague. Let me mention an important word here - Meeple. Meeples have changed the aesthetic of board games since they first came out. Before the advent of 3D printed Mechs and grey plastic zombies, they added colour and dimensionality to games. To see how much these little guys have changed since Carcassonne, Geek and Sundry put together a brief history of this humble yet revolutionary component, displaying its evolution from its humble beginnings. Over the years, better technology has led to better and more detailed meeples. Sure technology has led to other, more important things, but for my purposes here... better meeples! The humble meeple. An essential component in countless games. I have always been one to expand the bling of my games. A board game should not just be another game, but an experience to be shared with friends. A nicer looking game generates more interest, and thus gets played more often. I might even win a few times... but I'm not holding my breath. Don't get me wrong, a game can still be a great game without all the bling and flash. But there is nothing wrong with it being a spectacle for the eyes as well as the mind.